How to save Your iPhone X Fell Into Water Damaged? Even if the waterproof level reaches IP67. But your iphoneX accidentally entered the liquid, APPLE officially does not give warranty, Apple clearly pointed out that the ipone or ipod immersion damage is no longer within the one-year limited warranty. that's mean, there is only one way, just to repair it from phone repair shop. So, Today we will sharing about the repair process of watered iphone X, First, you have to know which tools you needed. First, we need to disassemble iphoneX, about how to disassemble iphoneX, there are many articles on google, you can read reference news. Second. Put motherboad on Iphone X PCB Positioning Fixture, Check if the motherboard is in good condition and there is a fault point. Last: install the phone, test full functions, done! 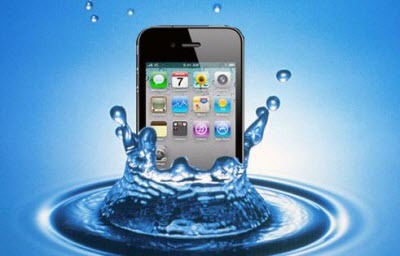 After the mobile phone enters the water, the components and IC inside are prone to corrosion and oxidation. It is recommended to find a professional maintenance organization for maintenance, so as to avoid unnecessary loss.